This page was retrieved from https://www.fcd-us.org/children-of-immigrants-series-ii-webinar-iii/. DESCRIPTION: Engaged families, and early care and education programs, play a vital role in fostering children’s early development and in helping children of immigrants succeed in school and life. This webinar highlights the benefits of supporting immigrant mothers and fathers as they promote their young children’s early learning at home and school. Lessons learned from two program interventions will be shared: 1) engaging Latina mothers as stakeholders involved in promoting their children’s elementary school achievement, and 2) supporting Mexican-American fathers’ positive parenting of their young children. Also presented is evidence suggesting that early care and education programs enhance academic and behavioral outcomes for young children in immigrant families. Implications for practice and recommendations for policy and future research will be discussed. 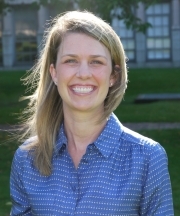 Dr. Schindler is an Associate Professor in the areas of Early Childhood and Family Studies and Educational Psychology at the University of Washington. Prior to her time at the University of Washington, she was a postdoctoral fellow at Harvard University’s Center on the Developing Child. Dr. Schindler’s current research program focuses on how interventions and policies can best target family and school contexts during early childhood to prevent behavior problems and promote mental health in vulnerable populations of families. As part of her work in this area, she conducts meta-analyses using a comprehensive database housing program evaluations of early childhood education, family support, and health-based interventions conducted over the past 5 decades. In a complementary line of research, Dr. Schindler examines how family relationships during early childhood contribute to child and parent mental health and behavior, with an emphasis on the roles of fathers. Dr. Steve Knotek is an Associate Professor in the School of Education at the University of North Carolina at Chapel Hill. He has been a practicing school psychologist and therapist specializing in early intervention and crisis response. 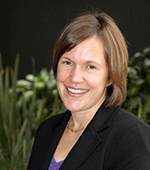 Dr. Knotek’s research focuses on investigating: the socio-cultural aspects of children’s cognitive development and their acquisition of emergent literacy skills, the use of consultation to enhance the ability of teachers and administrators to respond to students’ mental health and academic needs in school settings, and the impact of qualities of organizational culture and psychological climate on effective problem solving in schools. Dr. Elizabeth Votruba-Drzal is a Professor in the Department of Psychology at Pittsburgh University. The goal of her research is to strengthen understanding about how key contexts support learning and socio-emotional development during the transition to school and the elementary school years. Her research places an emphasis on ethnically diverse and socioeconomically disadvantaged children because these children tend to be underrepresented in developmental research, although they are overrepresented among those targeted by programs and policies. Grounded in bioecological models that conceptualize child development as the result of reciprocal interactions between individuals and the multiple environments in which they are embedded, her research focuses on the influences of child care, home, school, and social policies on development during early and middle childhood. 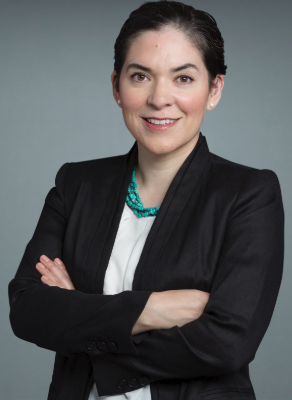 Dr. Barajas-Gonzalez is an Assistant Professor in the Center for Early Childhood Health and Development in the Department of Population Health at the NYU School of Medicine. She is currently a Co-Investigator and the project director of the Latinos in Context Project (LINCs), an NIH and IES funded longitudinal research project focusing on the family and school contexts of Mexican and Dominican children as they enter school. She is also a Co-Investigator of a RCT of ParentCorps, a population-level family-centered, school-based intervention that aims to strengthen family engagement and attenuate the adverse effects of poverty on child development. Her research focuses on children, families, and caregivers who are at psychological and academic risk because of social inequality. To this end, her work focuses on understanding the influence of poverty, discrimination and associated social stressors on caregiver mental health, family functioning, and child well-being.